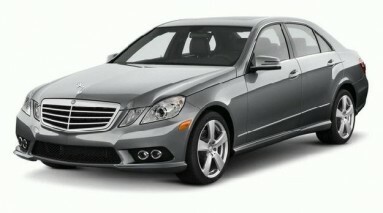 Class A vehicles are ideal for private chauffeurs, transfers to /from airports and nationwide touring. 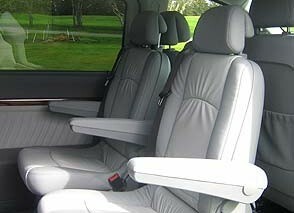 We operate high spec Mercedes and Audi vehicles to ensure premium comfort. Leather Interior. Full Air Conditioning. Class B+ vehicles provide executive transportation for small groups. This vehicle is ideal for four balls travelling this country in search of great golf while also providing a perfect environment for private transfers. Leather interior. Full Air Conditioning. Long wheel base. 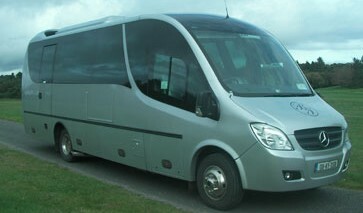 Class D vehicles are perfect for golfing groups and any group that want the first class treatment. The seat layout allows for an intimate setting where your group can reminisce about the day’s golf or plan for the next business meeting. Leather reclining seats. Tables. Full air conditioning. Refrigerator. DVD Player. Class D+ vehicles are ideal for group’s seeking the VIP treatment. Each leather seat is hand crafted to provide superior comfort. 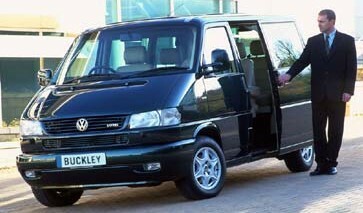 There is ample leg room and the luxurious interior provides the perfect setting to travel in comfort and style. 12 Large “captain’s chair” style full leather reclining seats. Tables. Full air conditioning. Refrigerator. DVD Player. These highline luxury touring coaches are equipped with tables and a toilet mean each journey passes with ease. 35 reclining seats. Toilet. Tables. Full air conditioning. Refrigerator. DVD Player. 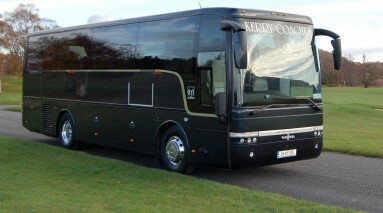 Class F+ coaches are the highest specification vehicles in the country. 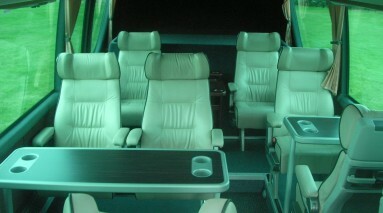 They are a 5 star, deluxe coach that has unrefined levels of luxury. These coaches make any journey, one to remember. 24 full leather reclining seats. Servery area. 2 x 24in wide screen monitors. 2 x Refrigerators. 4 x Tables. Toilet. Full air conditioning. Drying closet for wet gear etc. DVD player. 49 reclining seats. Toilet. Full air conditioning. Refrigerator. DVD Player. 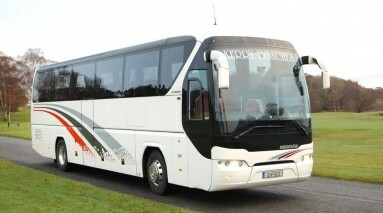 Class G+ coaches are our largest executive coaches. 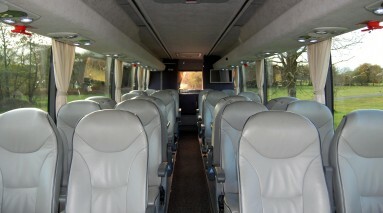 Even large groups can travel in style with 32 seats, plentiful legroom and limitless comfort. 32 reclining seats. .Toilet. Servery area. 4 x Tables. 2 x Refrigerator. DVD Player. Full air conditioning.